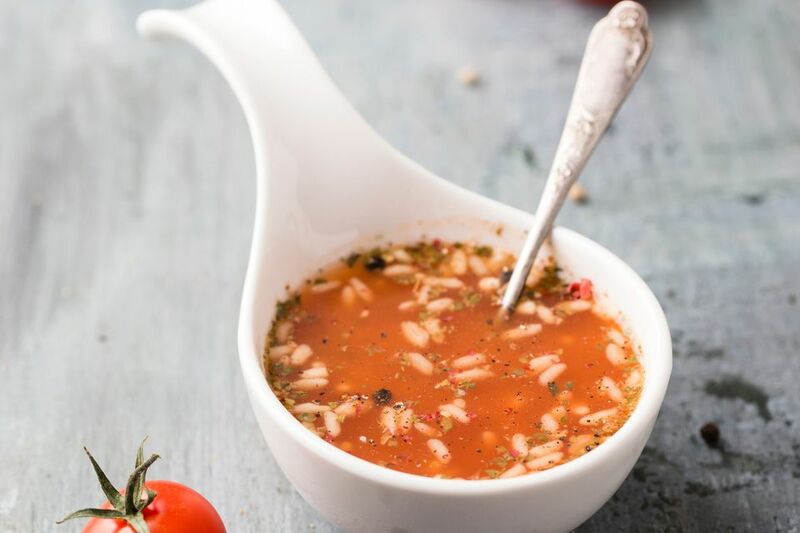 Both dried and fresh Provencal herbs enhance tangy tomatoes in this vividly flavored soup. Rice cooked directly in the vegetable broth gives off just enough starchiness to thicken the consistency. Serve this first course with an medium-acid red wine. In a large saucepan over medium heat, sauté onions, carrot, celery, garlic, orange zest, thyme, and fennel seed for 5 minutes, until the vegetables start to become tender. Add tomato paste and water, whisking until the tomato paste is fully incorporated. Stir in canned tomatoes, chicken or vegetable stock, salt, pepper, sugar, and rice. Simmer for 15-20 minutes, until rice is tender. Stir in parsley and basil and serve hot.